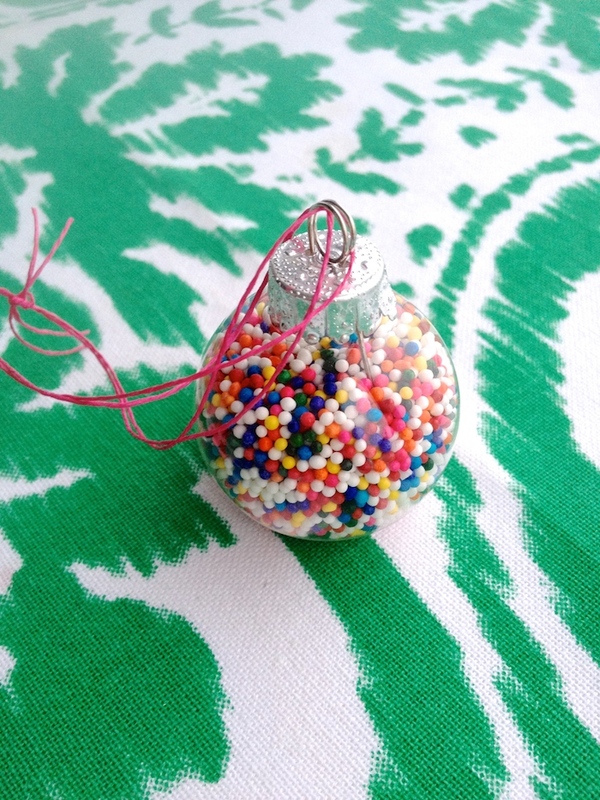 1-Minute DIY Mini Sprinkle Ornaments! / Hey, EEP! 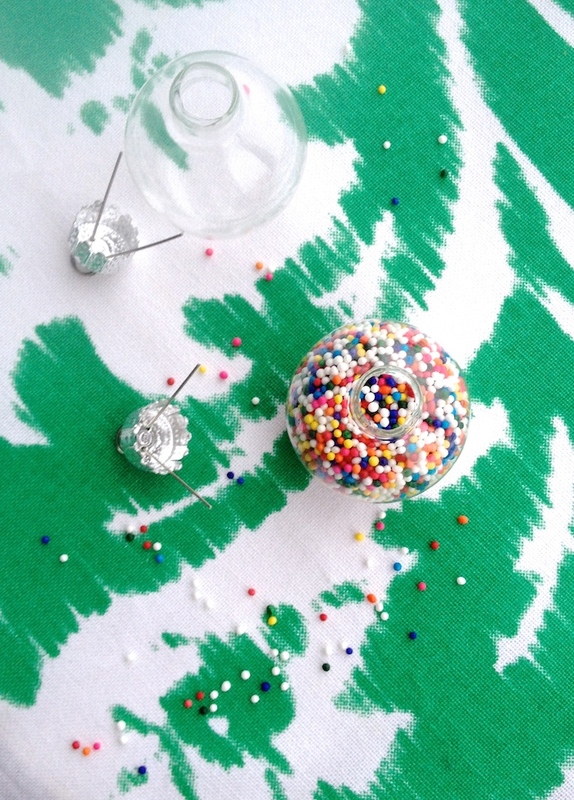 1-Minute DIY Mini Sprinkle Ornaments! I love starting my day on a creative note by making a super-super-fast craft as soon as I wake up—they're my "Wake & Make" sessions! 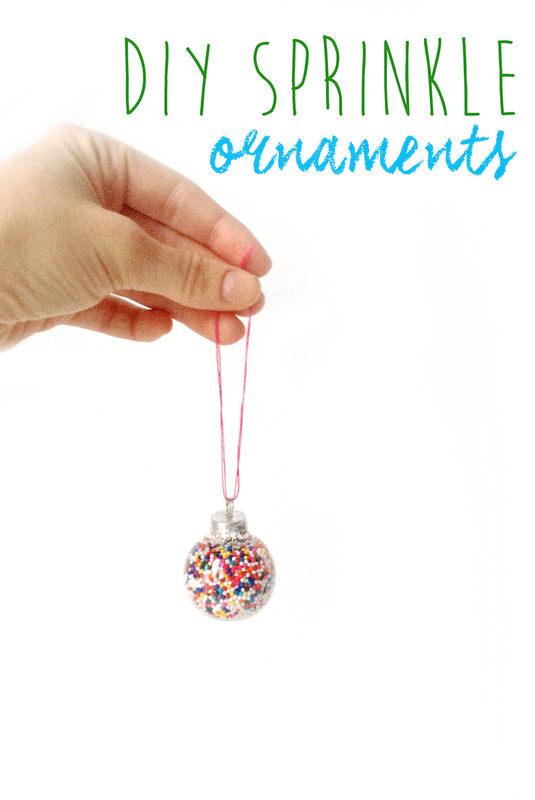 This morning I made these speedy DIY Sprinkle Ornaments, so I can confirm that they take just seconds to make! 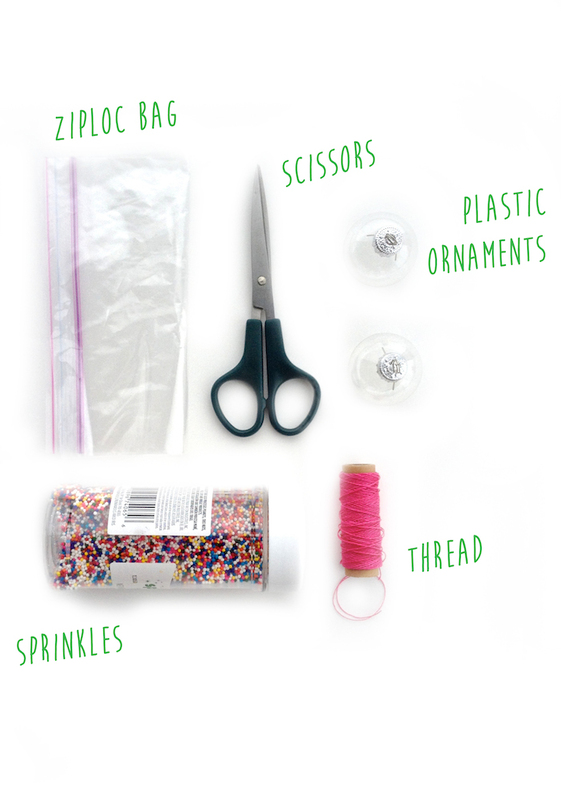 All you need: Sprinkles (duh), some empty glass ornaments (I had these lying around from last year), some thread, scissors, and a Ziploc bag for mess-free filling. I'll admit the filling process wasn't quite as mess-free as I had hoped. I think I snipped the corner of my bag too wide (you'll see in the video, below) so be a tad more careful than me. You will need to shake/squeeze out the sprinkles, though, if you go any smaller. Just something to think about. 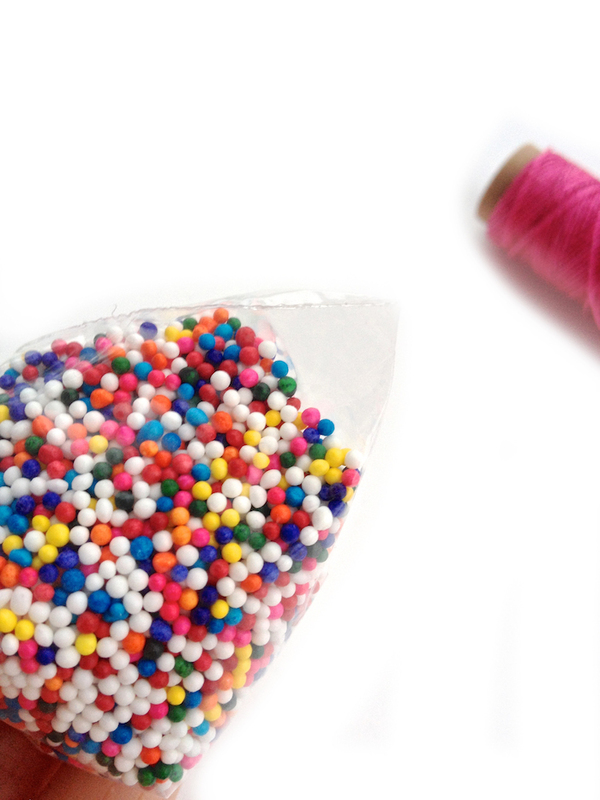 For this project, I used multicolor nonpareils—cuz they're clearly the best—but you could always swap in another teeny sprinkle. 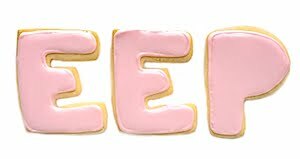 For instance, you could do the same craft using sanding sugar in different colors. Maybe red and green for Christmas or another color scheme that compliments your holiday decor. 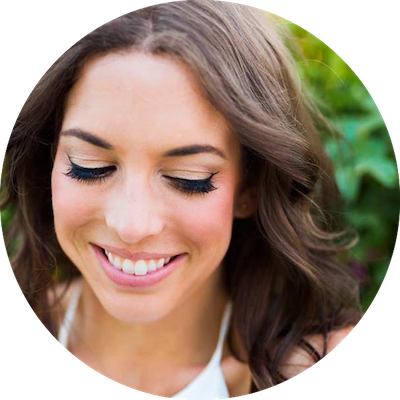 It's a 30 second craft, you can try a few different options! One word of advice, if you plan on keeping these forever or hanging them in a high-traffic area, I'd recommend gluing down the top of the ornaments. There's no reason why they should come loose but I'm a worrier...and I hate cleaning up spilled sprinkles. Could you imagine covering an entire tree with these babies, someone knocking into it and causing a sprinkle explosion!? It's the stuff nightmares are made of. Or dreams. It depends. 1. Remove the metal tops from my glass ornaments; set aside. 2. 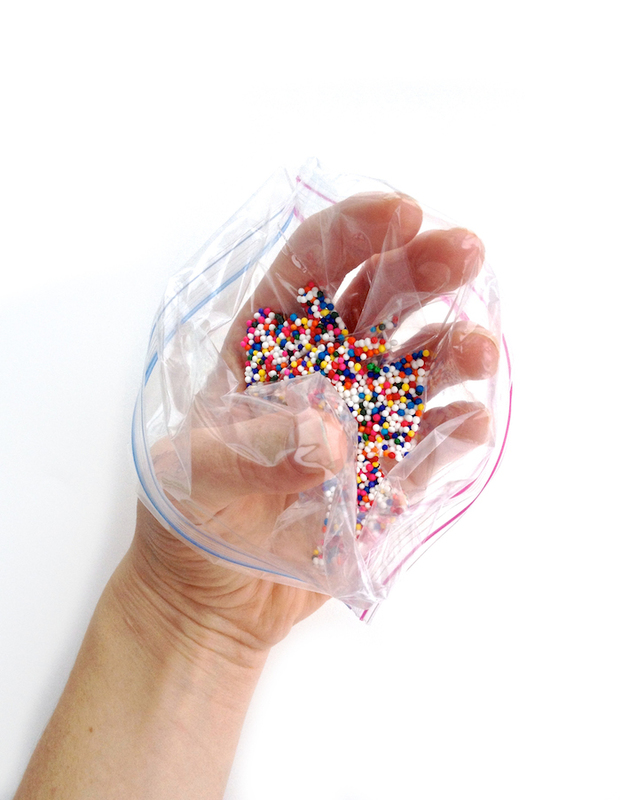 Put the sprinkles in a resealable plastic bag; shake to one corner and twist the bag closed. Snip a small piece from the corner with scissors and "pipe" the sprinkles into the ornaments. 3. Put the metal tops back on the ornaments. Thread string through the top and tie to hang. How cute! I love filling glass ball ornaments with goodies. I actually have a few filled with plain old granulated sugar right now...looks like snow!